These frolicking snow leopards are proof that the cats are breeding in an area that as recently as 2010 was thought to have lost its snow leopards to poachers. 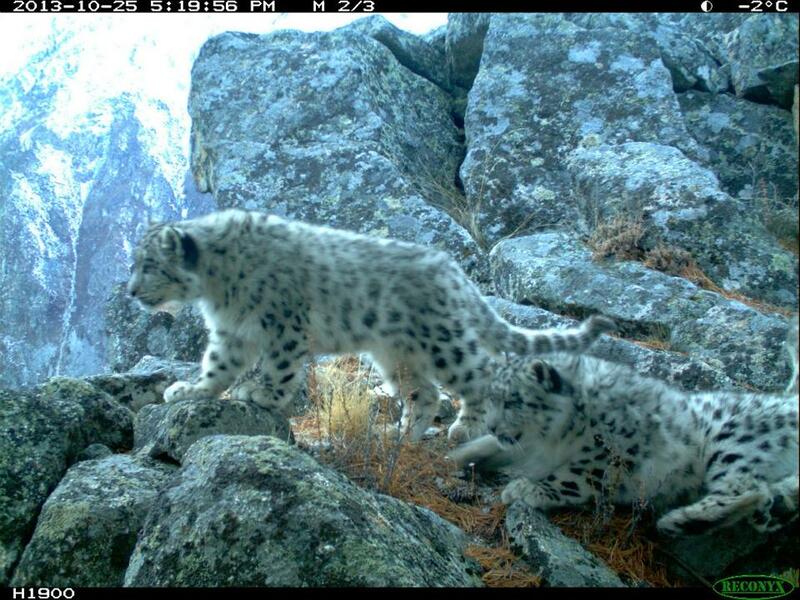 Further, they were captured on camera by the Argut Valley’s newest snow leopard guardian—a former poacher turned community wildlife monitor. In 2010, Rodney Jackson led a camera trap training in the Argut River basin. Following the training, Sergei Spitsyn, biologist with the local NGO Arkhar and the Altai State Biosphere Reserve, and Misha Paltysin, Project Coordinator WWF–Russia, undertook two surveys covering a big part of the Argut River basin. It was believed to harbor the best snow leopard populations in Russian territory; however, no snow leopard images were captured despite very good prey populations. Later, the Russian team surveyed more remote parts of this watershed. 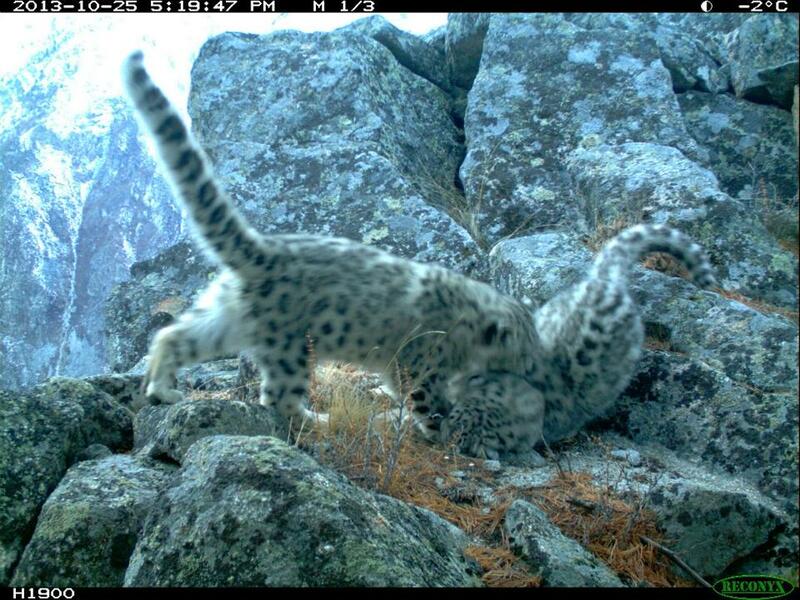 They found sign of snow leopards near the border with Kazakhstan. Anti-poaching patrols have been increased in the Argut area to remove hundreds of poacher snares, and actions are underway to protect landscape corridors linking the Argut basin with Mongolia to the southwest and Kazakhstan to the west. 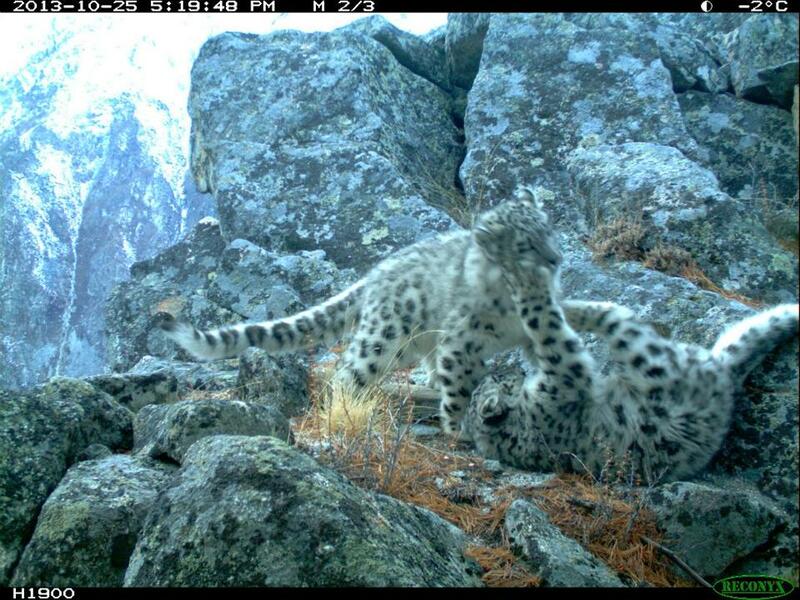 The long-term aim is to restore a robust snow leopard population to the Argut River basin and save habitat linkages with Mongolia, so that the cats will be able to reoccupy the area, much as they did in Nepal at the turn of this century.